The DAP-led Penang government today conceded that the floods currently affecting more than 100 areas in five districts in the state since yesterday was due in part to its drainage system. State local government, traffic management and flood mitigation committee chairperson Chow Kon Yeow admitted that the existing drainage system could not accommodate the huge flow of water during heavy rain. "The existing natural and man-made drainage systems could not cope with the flow of rain, especially since the very strong rainfall in all five districts causing many areas to be flooded," he told reporters. The extraordinarily heavy rain since 2pm yesterday, which coincided with the peak of the high tide phenomenon, also contributed to the flash floods, he told reporters here today. He said heavy rainfall was recorded with the highest at Seberang Perai Utara, at 372mm, followed by Seberang Perai Tengah (327 mm), Timur Laut (289mm), Barat Daya (237mm) and Seberang Perai Selatan (165mm). Almost all of Penang island was hit by flood following yesterday’s heavy rain, he said, adding that there were 75 reports of falling trees and eight reports on landslides. 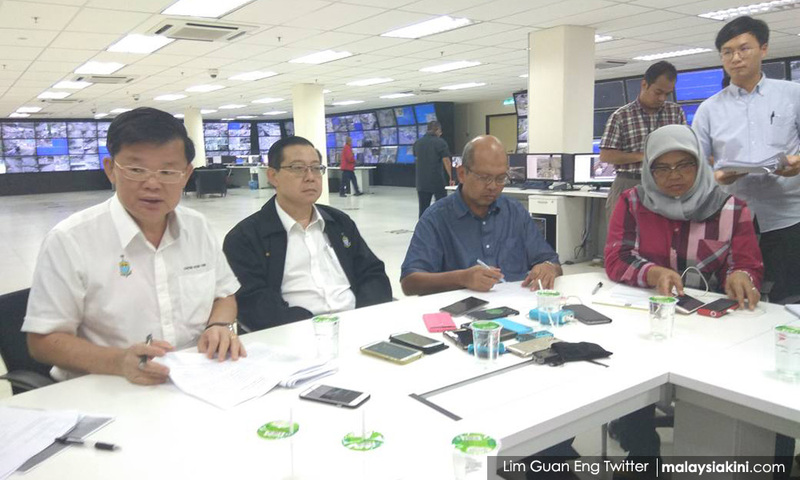 Meanwhile, Chief Minister Lim Guan Eng (photo) said the state government did not have adequate resources, in terms of manpower and equipment, to handle the floods in Penang and expressed gratitude to Deputy Prime Minister Ahmad Zahid Hamidi for the assistance rendered. 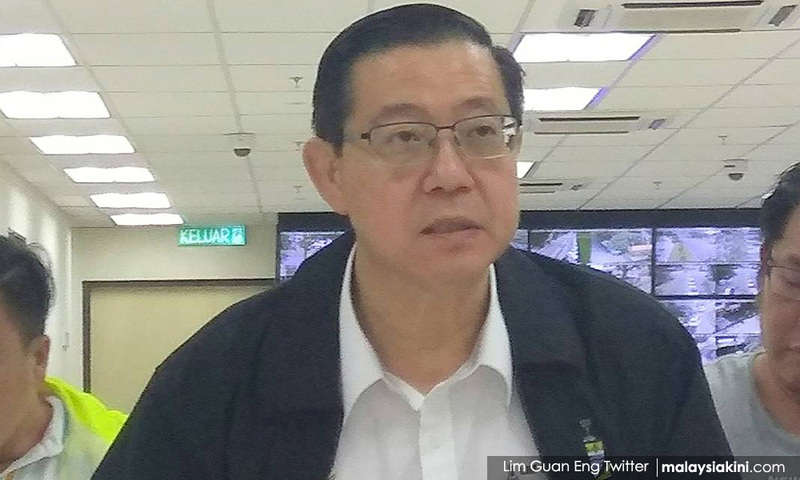 Lim said he called the deputy prime minister at 3.30am, and the latter immediately sent members of the Malaysian Armed Forces to Penang to help. However, Lim said the state government had no intention of declaring emergency in the state because of the flood, as the situation was still under control. “We will work with the federal government to review the existing standard operating procedures on handling of state disaster for a more effective coordination,” he added. As at 2pm today, 51 evacuation centres have been opened in Penang to accommodate 2,861 flood victims in five districts.